Flax seeds are one of the most nutritious plant based foods. 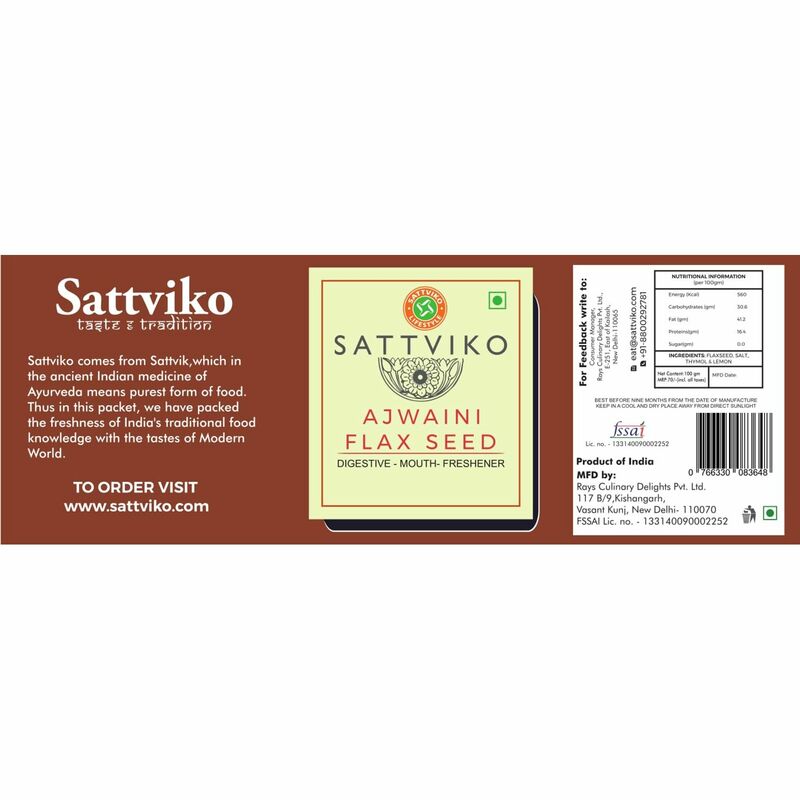 They are a rich source of omega 3 fatty acids and are good for our heart.They reduce the onset of old age, fight cancer and prevent joint pains. 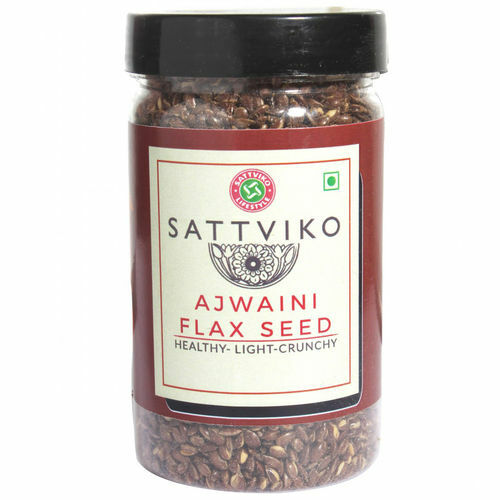 Sattviko Ajwaini Flax seeds are lightly roasted flax seeds with ajwaini and salt.